Brandon, FL is a great place to live. While it isn’t directly on the coast, Brandon houses more than 100,000 people who enjoy the amazing benefits of living in Florida. Good weather and the beach are two of the most important reasons people love living in Florida. However, as we all know, the weather can also turn into less than amazing. Storms, wind, rain, and sand have a way of making things a little less perfect, all while potentially damaging your home and possessions. 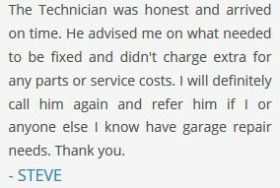 This is why we here at BP Garage Doors love to give our customers the best service and advice – it makes for a happier living status and a safe place to live. Let’s make things less complicated. As a family owned company that’s been in business for over 20 years, BP Garage Doors has what it takes to identify and resolve any issues your door might have. 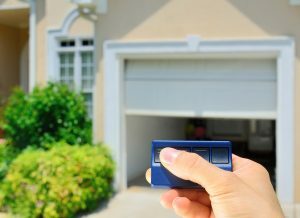 There may even be issues that someone without the necessary experience will overlook, because if we’re being honest, we’re in love with the fact that our garage door opens and closes when it’s supposed to. Rarely are we thinking of getting on a ladder and doing a full-blown inspection. If it isn’t broke, don’t fix it? In some cases, yes. With garage doors? Absolutely not. Safety is a number one priority, and the last thing anyone needs is your door to fail and cause you, your family, or your personal possessions any harm. Having a handyman or anyone else that isn’t certified in handling the work it takes to fix and maintain your garage door can mean more money, more damage, and even potential lawsuits if there is an injury during the fix. BP Garage Doors is certified and licensed, and we know exactly what we are doing. Emergencies happen, and Brandon area BP Garage Doors understands that. 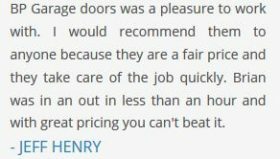 This is why we don’t charge any fees for emergency or weekend calls, and our affordable same-day service is one of the smoothest experiences you’ll have while working with us. So if you feel that it’s time for you to insure your future of safety and reliability, give us a call. We’d love to hear from you, and we’re here to help.